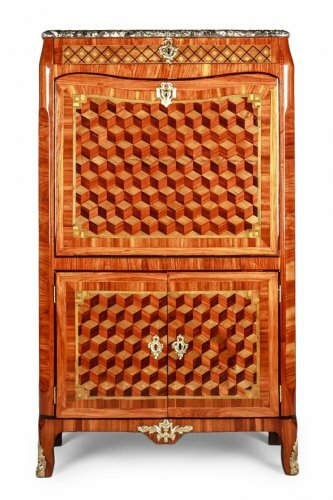 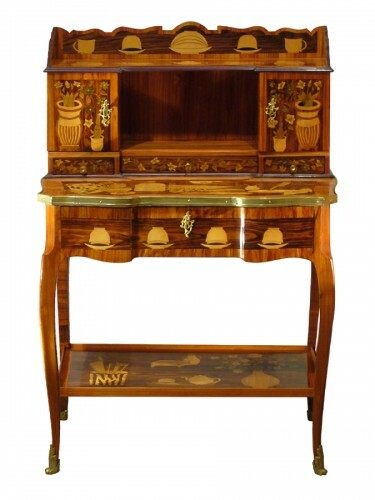 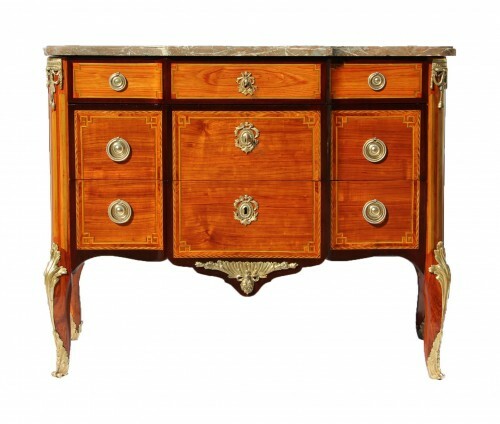 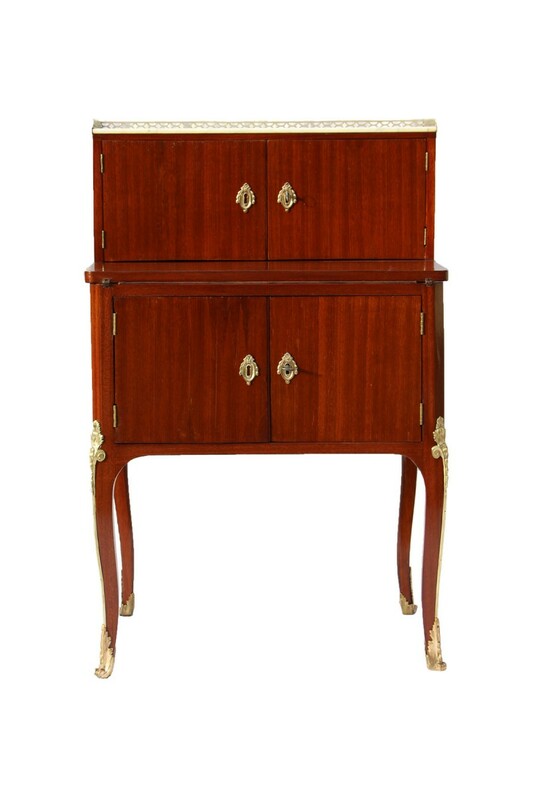 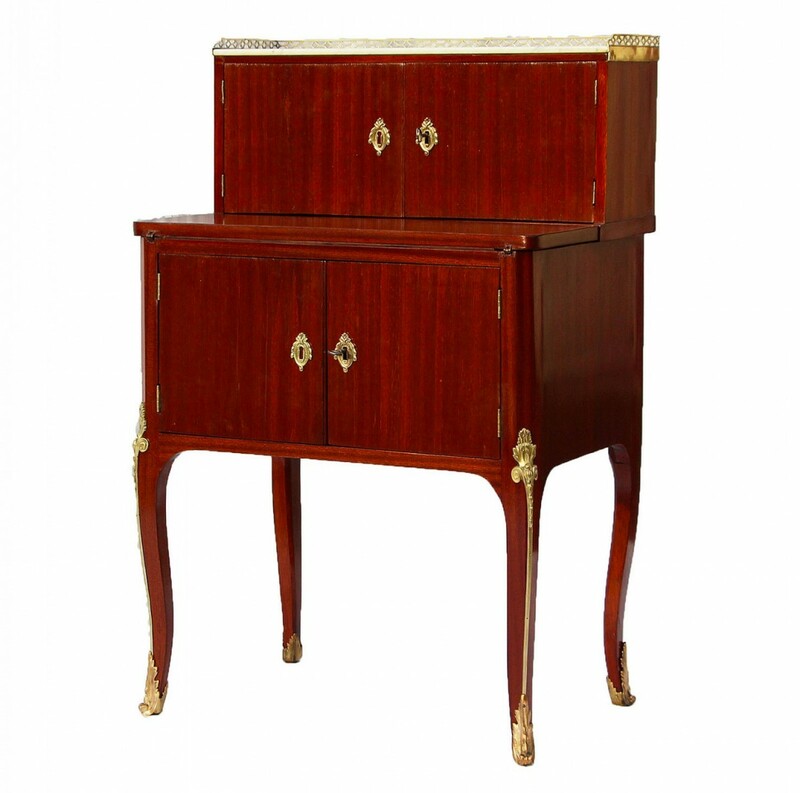 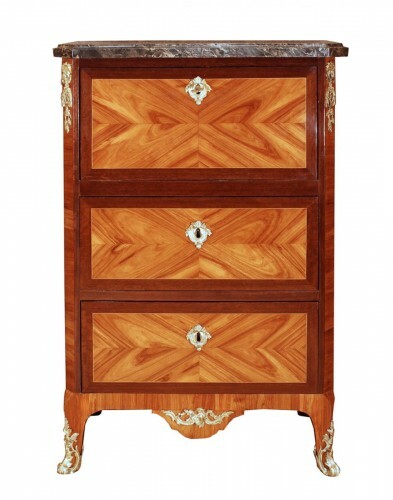 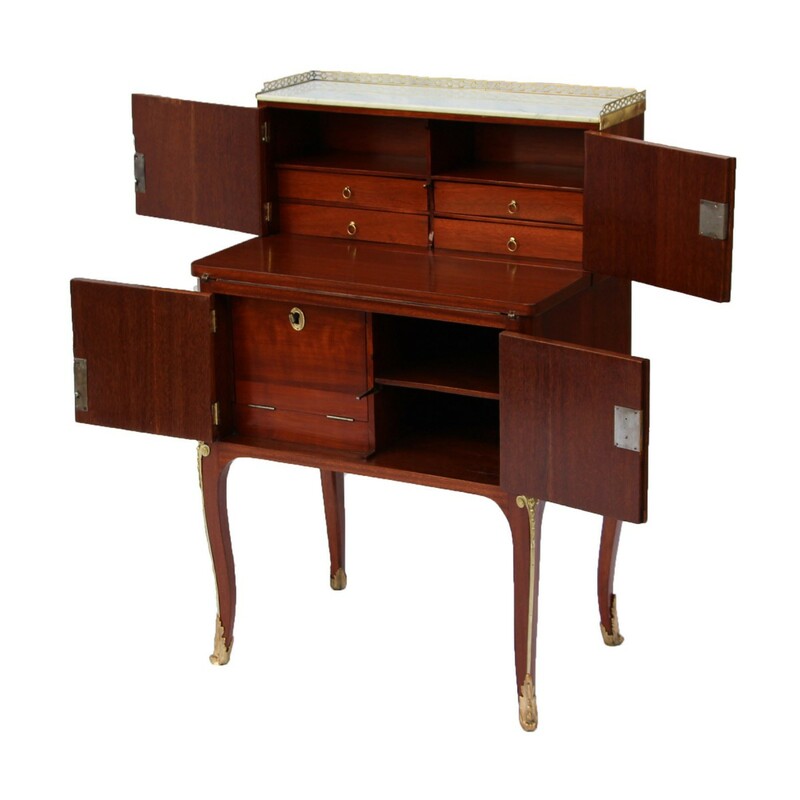 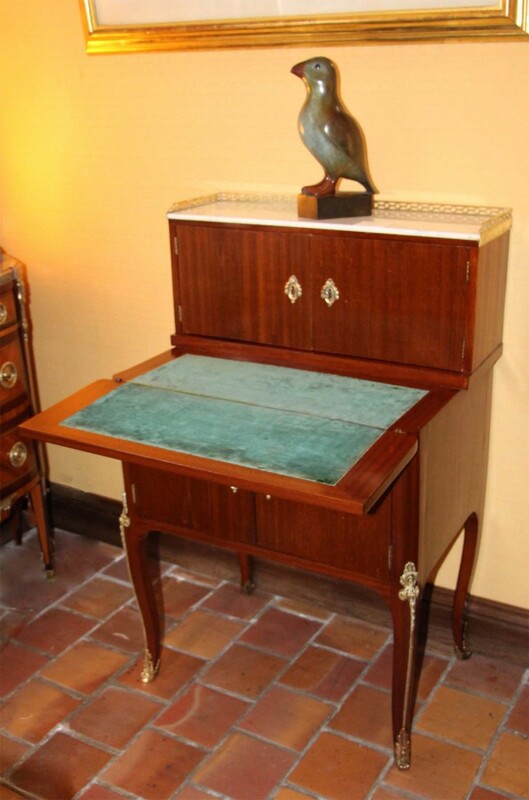 Bonheur du jour d’époquTransition period in satin veneer and exotic wood. 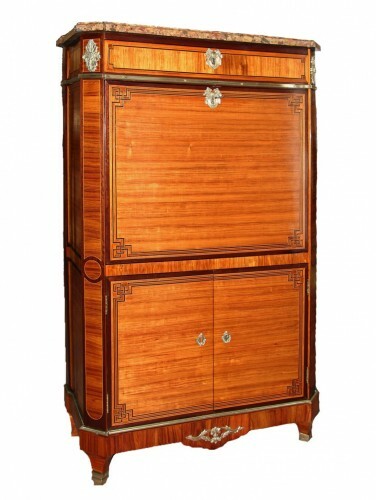 It opens in the lower part by two leaves revealing a compartment and a chest, by a flap forming a writing box wrapped in green velvet (posterior) and by two leaves in the upper part discovering four small drawers and two lockers. 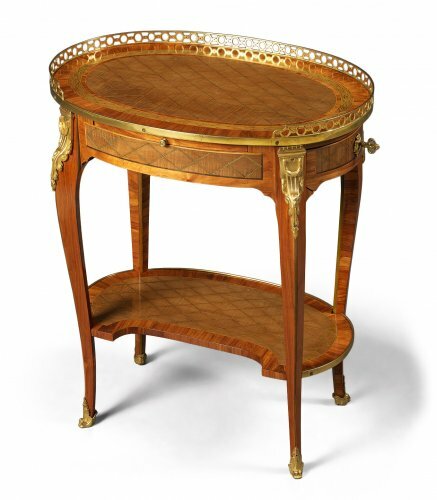 It rests on four arched legs underlined with golden bronzes. 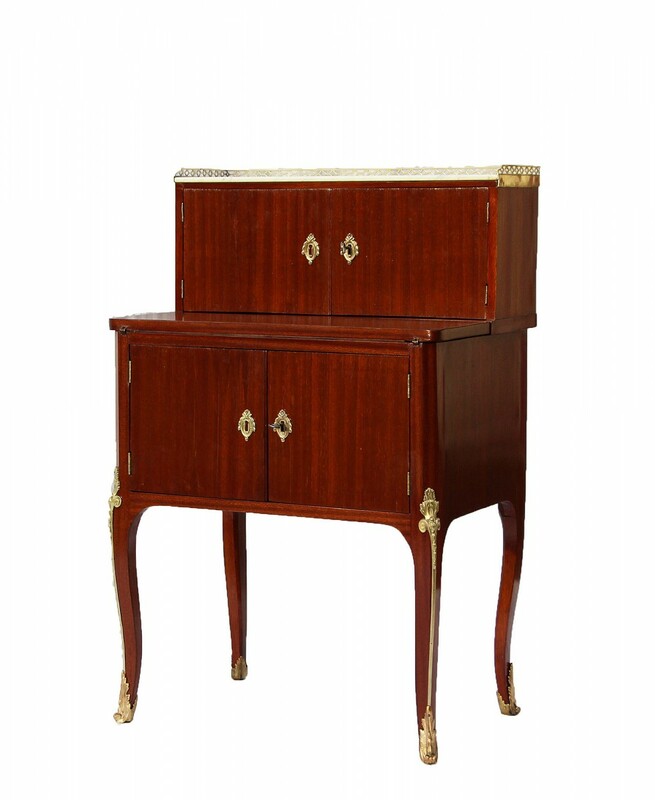 Top of white veined marble surrounded by a perforated brass gallery. 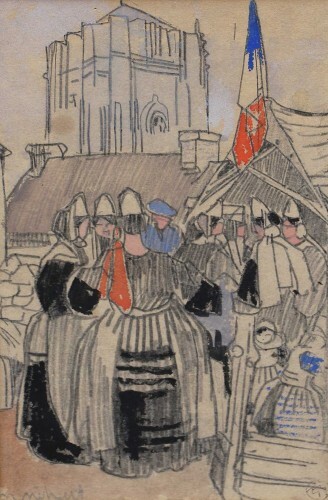 Stamped G. CORDIE Guillaume Cordié received master on June 18, 1776.